Generally illustration profs at KU, as elsewhere, frown on fan art. Fan art is, by definition, derivative. 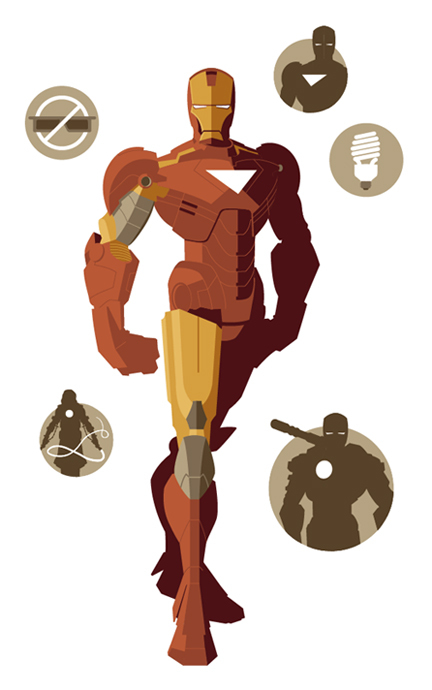 Fans of Iron Man, or Star Wars, or Akira draw versions of their favorite characters from iconic, and copyrighted creations. Frankly, fan art is sometimes a pale imitation of the original. Tom Whalen defies the stereotype; he’s had great success with fan art. The 1996 KU grad says fan art has opened doors for him. His gallery on Deviant Art and his own amazing Strongstuff website have gotten noticed by gallery owners and art directors, world-wide. He recently did a full-page illustration for Wired Magazine. It’s on page 114 of the current (July, 2010) issue and Tom says it is a dream come true to go into a bookstore and find his illustration on the newsstand. He’s exhibited his artwork at L.A.’s Gallery 1988, and has been commissioned to do movie posters for the Alamo Drafthouse, Austin, Texas. The sheer number of Tom Whalen illustrations on the web make it clear he has worked hard for his success. 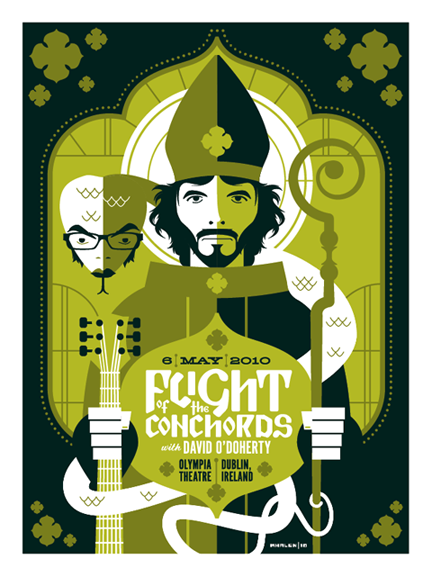 And much of his recent work, like the concert poster above, isn’t fan art. He credits Martin Lemelman for helping him refine his skills during his last semester at Kutztown. He also is glad he went to KU, because it is where he met his wife, Kelly Swisher Whalen. After graduation Tom spent nearly five years as a graphic designer, until he found a job at Merion Publications, where he still works fulltime as an editorial illustrator. That’s right, he has a fulltime day job, and does all the other illustration work in his spare time! Naturally, Tom Whalen now has his own fans, if you’d like to read more check the fan sites, here, or here.